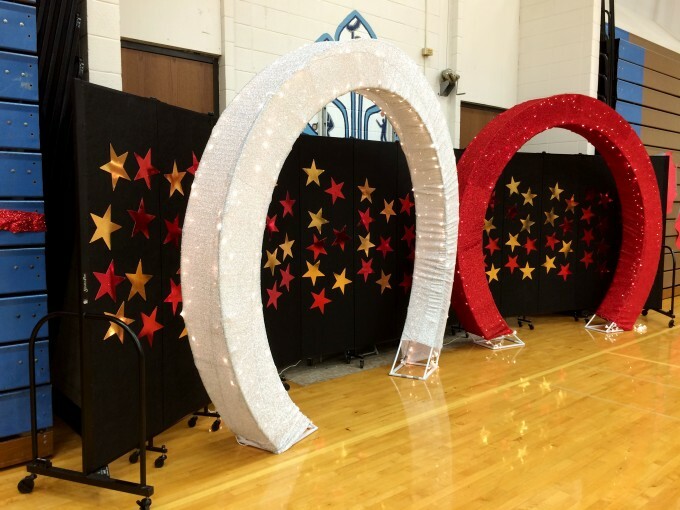 Lake Zurich High School in Lake Zurich, Illinois recently hosted their annual homecoming dance. The student council wanted to create a school dance photo backdrop area to go along with their Hollywood movie theme. And although the gym would be dimly lit, it could be a place where students could stop and pose for photos under the twinkling arches. This divider is used all around the school for many purposes, but today it was the star of the show as it created the perfect backdrop! Dressing up the partitions was easy. A trip to the Dollar Store provided the metallic stars which were stapled right onto the divider. 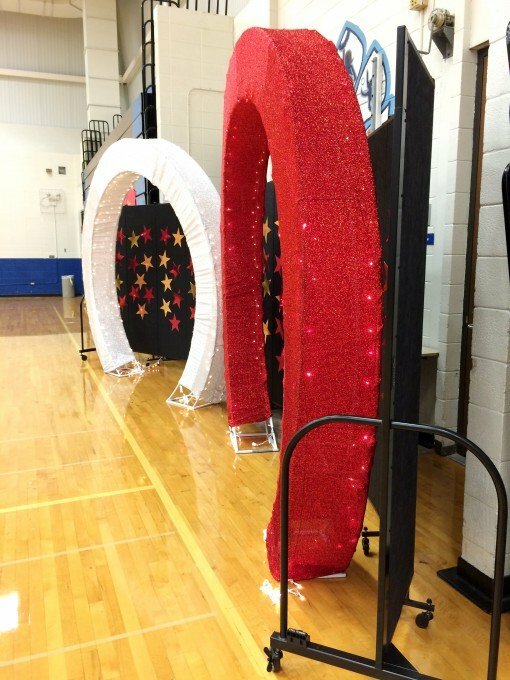 The arches with stretch fabric covers were rented from a party rental business, and white Christmas lights were added to the frames before the covers were put on the frames. Aside from making a nice school dance photo backdrop, the dividers served a second purpose. By positioning them in front of the locker rooms, access to that area was made off-limits during the dance. Because Screenflex dividers are hinged, they can be formed into many configurations. 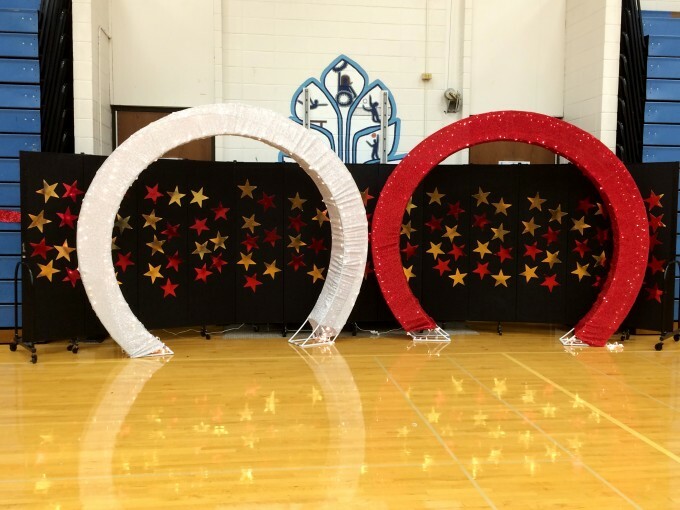 It was easy to shape this school dance photo backdrop into a semi-circle. Extension cords for the lights were safely threaded behind the divider and plugged in out of sight.